All week we have been reading our favourite books and telling our best loved stories. We have had a wonderful time! The Little Chicks class have been reading lots of rhyming stories, the Ladybird’s have been joining in with repeated refrains and the Bumble Bees have been sounding out common and irregular words in their reading books. Books are precious and this is something that the children have really begun to learn this week. On Thursday, we were lucky enough to recieve a donation of school supplies from a lovely military family. The military community had donated lots of stationary for the children, and Matthew and his family came on Thursday afternoon to hand it out to the children. They were all so excited and very grateful for everything they received. So thank you to everyone involved and all those that donated! Next weeks topic is ‘I Can…’ and we will be looking at all the different things that the children can do. We will be completing obstacle courses and bouncing on the trampoline to help with their Physical Development, as well counting objects and learning our numbers to show that we can recognise them. There is so many different things that the children can do and this is the perfect opportunity for them to showcase it! Next week is also a sad week for the Busy Bees Team. Miss Kylie, the Little Chicks Room Leader, will be leaving on Friday after working here for 5 years. 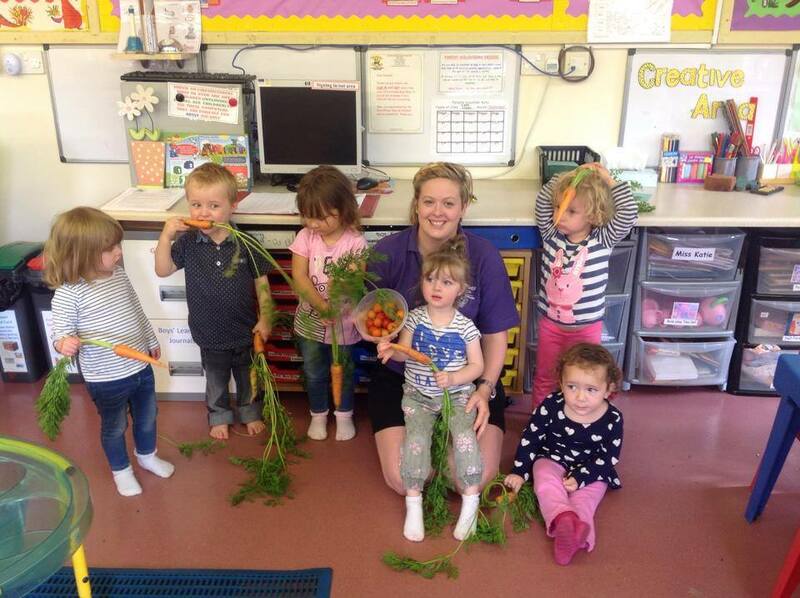 She has decided to pursue a different avenue within childcare and we wish her the best of luck!